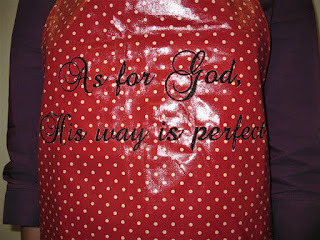 A very practical gift, this cotton apron features red background and cream spots laminated fabric. 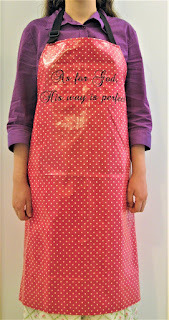 The laminated fabric makes it easy to wipe off spillages. 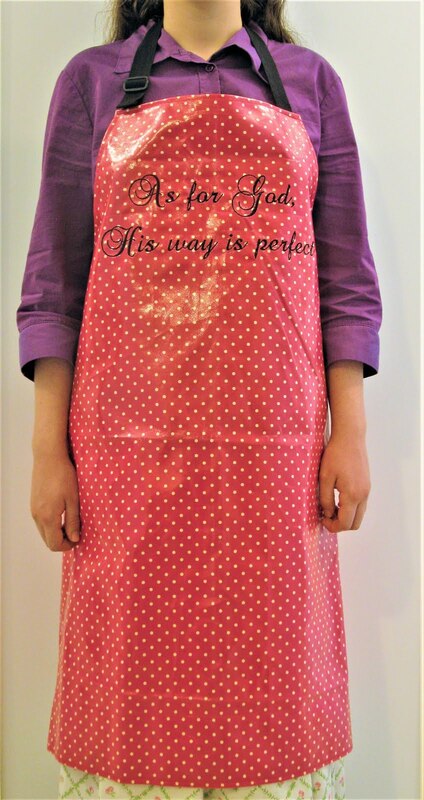 Beautiful, bold embroidered motto on the bib: As for God, His way is perfect. Waist ties and adjustable neck strap with plastic slider. 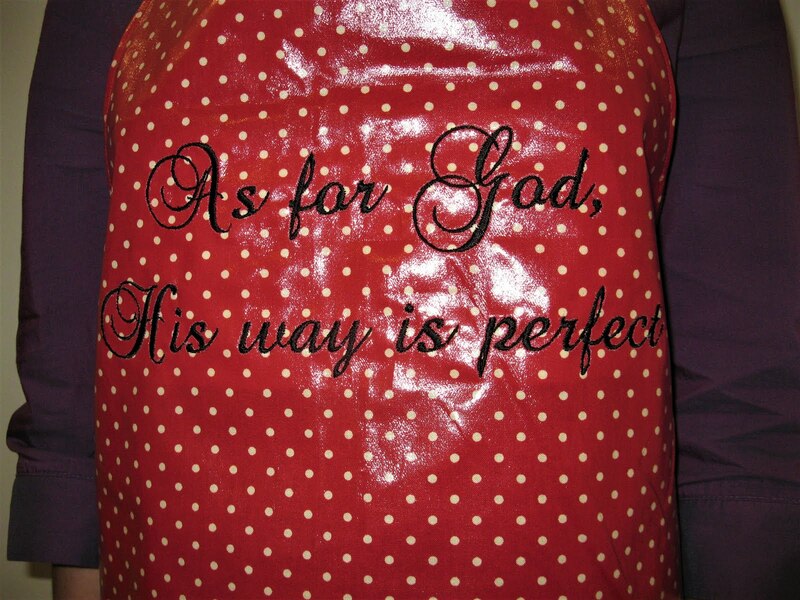 Waist width 84cm, height 78cm (not including length of ties).